Stephen Hall is a musician based in Pasadena, California. 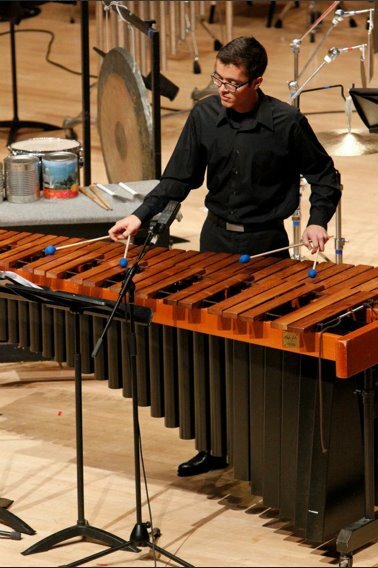 Active in Southern and Northern California - and occasionally around the world - he performs recitals and concerts as a marimba and percussion soloist, plays with various orchestras and ensembles, teaches young percussionists and piano students, writes new music, and arranges music from past eras for the marimba. *Some of Stephen's published work is available here. That is, to take in the inspiring things from the real world - could be a person, a book, a feeling, a movement, etc. - and channel those energies/ideas to create meaningful artwork. Then, share it with whomever might be listening. Then repeat. Stephen applies this creative life approach to his music as well as to his teaching of students, from beginners to advanced. His students learn that it isn't all about perfect technique (although technique is an important tool! ); there is a deeper and more fulfilling purpose of music. Growing up on the South side of Chicago, despite coming from a non-musical family, Stephen's parents embraced his interest in music and he began piano lessons at the age of five. 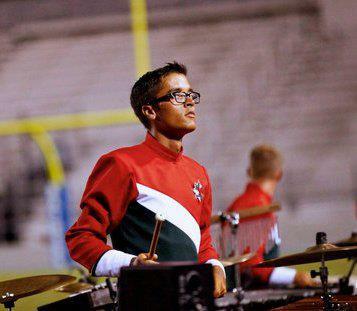 Over the years, he increasingly dedicated himself to music, constantly surrounding himself with the most talented musicians he could find, and joining groups like the Orange County Youth Symphony Orchestra and spending four years as an award-winning member of Drum Corps International. Stephen went on to receive a bachelors degree at Northwestern University, in Evanston, Illinois, where he studied with world-renowned soloist She-e Wu. Among countless rewarding experiences during this time, he performed as featured soloist with the NU Percussion Ensemble, recorded an album, rising..., with Mallory Thompson and the Symphonic Wind Ensemble, and collaborated with artists like So Percussion. 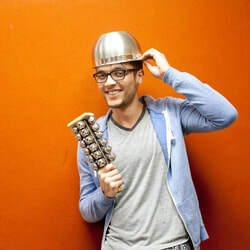 During his undergraduate studies he was awarded first prize at the Percussive Arts Society International Marimba Solo Competition in 2012. 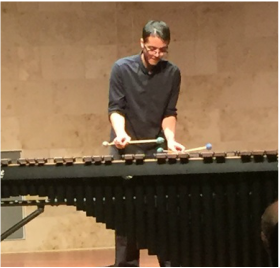 Recently, Stephen completed his graduate studies at the San Francisco Conservatory, studying with esteemed retired principal percussionist of the San Francisco Symphony, Jack van Geem. While getting his masters degree, he had the pleasure of performing at the opening of the San Francisco Symphony's acclaimed SoundBox performance space with Michael Tilson Thomas, and played with the San Francisco Contemporary Music Players. Resume *this is an abbreviated resume. For a for an exhaustive resume, please contact me.